Tired of popcorn and sno cone machines? Look no further...this is it! 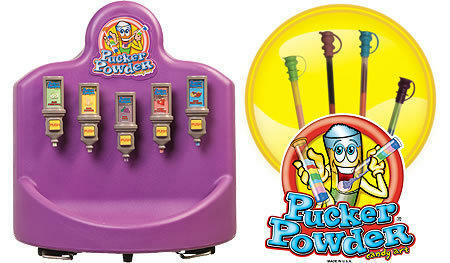 Kick off your party with a Pucker Powder Machine. 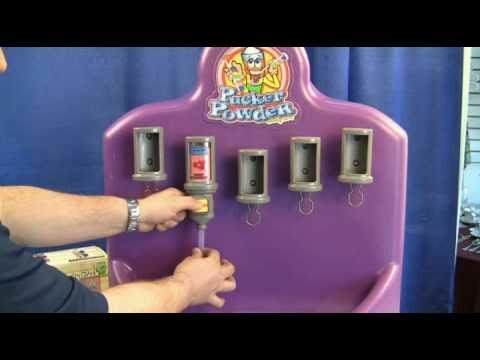 The Pucker Powder Machine comes complete with an individually wrapped kit. Inside the kit you will find 5 different flavors and 30 6 inch tubes to mix and match all of your favorite ones! ! Mix and match Birthday Cake, Strawberry, Sour Green Apple, Fruit Puch and Grape! How much sugar is in these tubes? While Pucker Powder® is basically a dextrose based product, it does not contain as much sugar than one thinks. A 6" tube contains only 7.3 grams of sugar and carbs.When you compare this to standard size candy bars and other candy products this istypically 1/3 the amount of sugar and when comparing to many sports enhancementdrinks it is typically 1/6 the amount of sugar. My child is allergic to nuts; does Pucker Powder ® contain nuts? 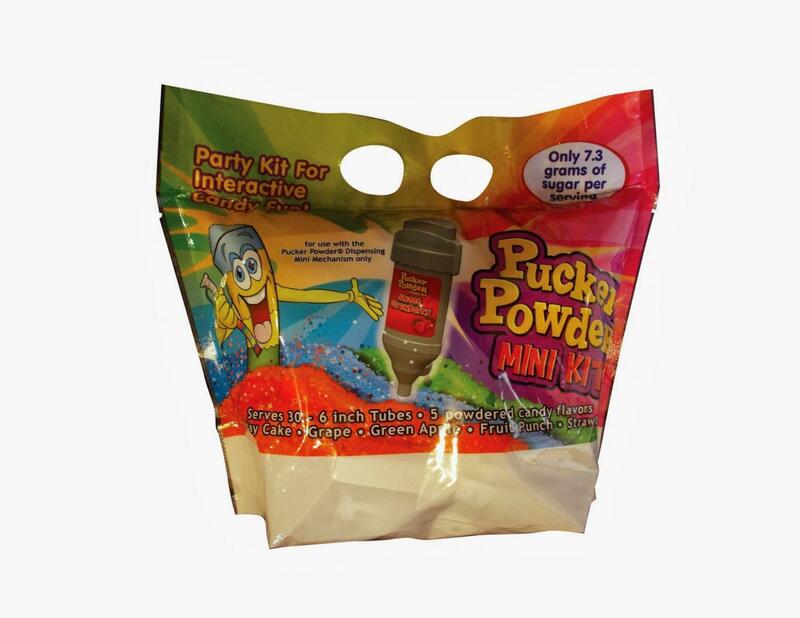 Pucker Powder ® does not contain nuts and it is produced in a nut free environment. Information page for a list of Kosher and non Kosher products.